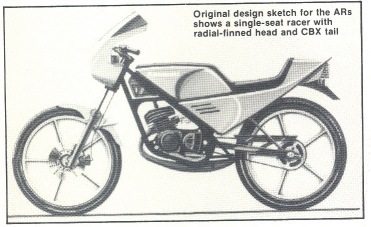 The first concept of the AR50, wich shows a single seat racer with radial finned head and CBX tail. 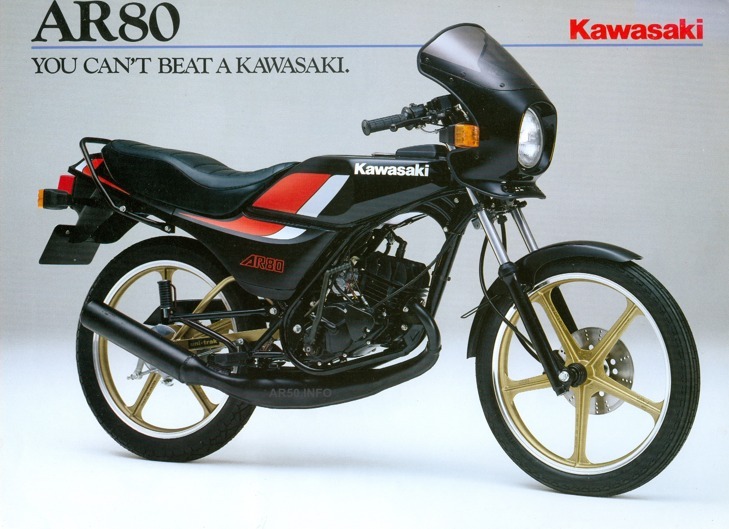 The AR affiliated models are still available in Asian countries, where they are available under another name: Ninja80 or Micro Magnum and the latest model: ARmicro. 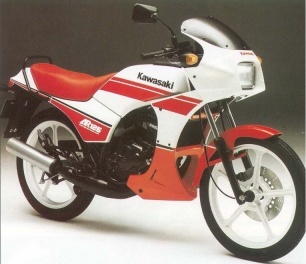 Actually Kawasaki never should stop producing this model, but that's our opinon. 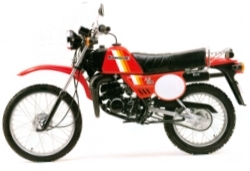 The models were available in many different countries , Japan, the USA, The Netherlands, United Kingdom, Greece, Belgium, South Africa, Germany etc. 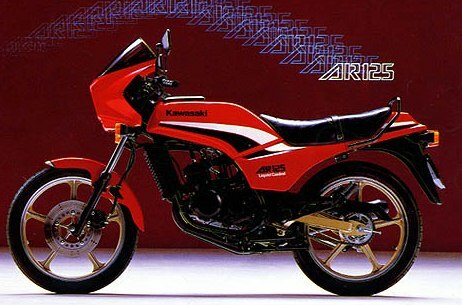 The Dry weight of the AR50/80 models is about 78 kg . 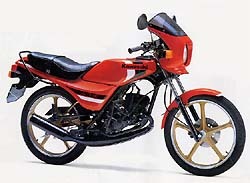 The AR50 has a 2-stroke engine with a 49cc displacement. Bore x Stroke is 39x41,6 mm and it has a 6-speed transmission (5 speed in the UK) The AR models have an Electronic CD Ignition (CDI) and a fuel capacity of 9,6 Litres. The maximum power (UK market) for the AR50 is 2,1 kW at 4.500 rpm and a maximum torque at 4,5 Nm at 4.000 rpm. 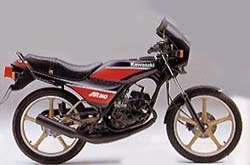 The AR80 has also a 2 stroke engine, but a displacement of 78 cc. 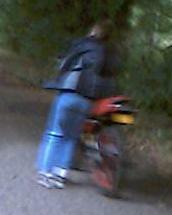 The maximum power (UK) is 7,5 kW at 8.500 rpm. 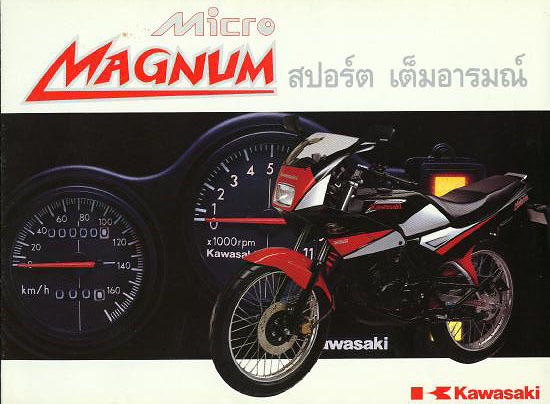 The maximum Torque is 8,53 Nm at 8000 rpm. 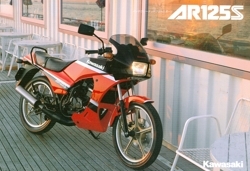 With an automatic superlube oil injection, the AR models ensure maximum convenience and reliability. 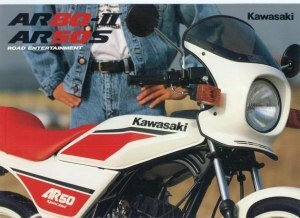 The handlebars of the AR50 and AR80 are separate, so they provide a comfortable low-profile riding position. 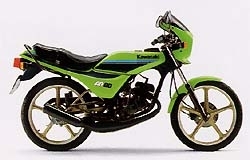 The proven reed-valve two stroke Single delivers the kind of power that's made Kawasaki famous. 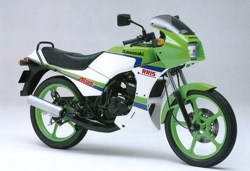 The Kawasaki AR125 has an RRIS system: a reed valve and a rotary disk-valve precisely control intake timing to stretch the powerband. It also has a hot-firing CD ignition but a liquid cooling system. 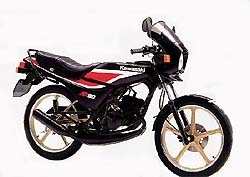 It has a displcement of 123cc and a Bore x stroke of 55x51,8 mm As the AR50 and AR80 it has a 6-speed transmission and a front-disk and rear-drum brake. 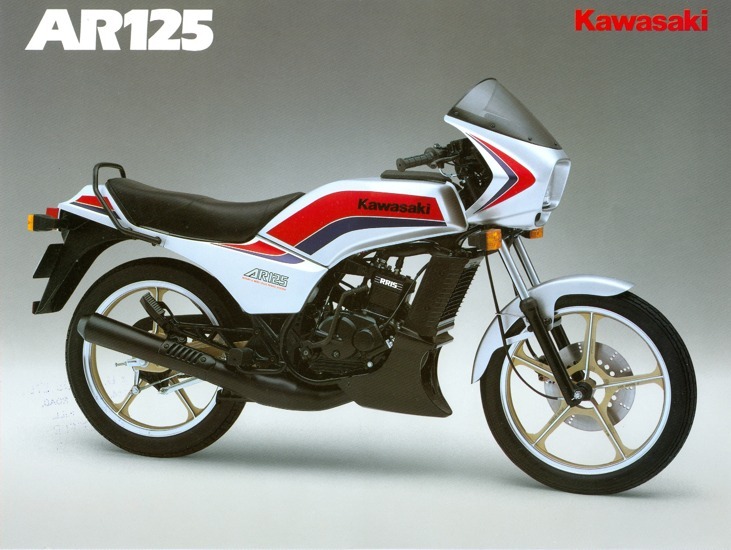 The dry weight of the AR125 is 107 kilograms and it had a fuel capacity of 11,5 litres. 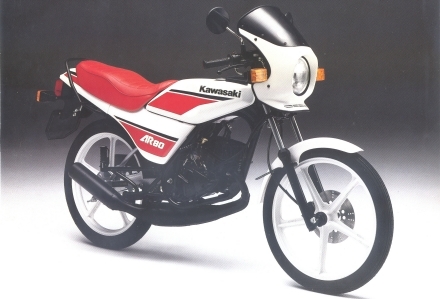 All models have Kawasaki's UNI TRAK rear suspension. 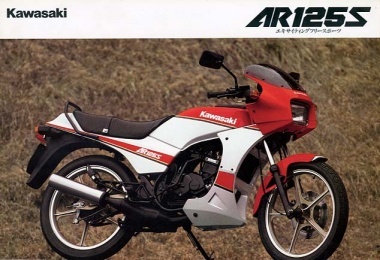 As the AR50 range , as told, the AR80 and AR125 had their specials too. 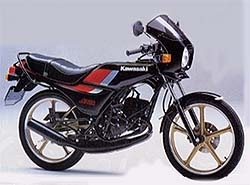 Move up to Kawasaki AR models, and you'll never look back!